The Munitio NINES Tactical Earbuds have it all - comfortable fit, clear and deep sound, noise isolation, one button universal mic control - plus they look totally badass. These retail for $179, but Lifehacker readers can save big and get a pair today for just $33.99 with free shipping. First and foremost, the NINES are engineered to produce incredible sound purity, natural noise cancellation, and clear,deep bass - perfect for listening to any music genre. The cord is made from Kevlar so it won’t fray, and the one button universal mic control lets you easily talk and control your sound. 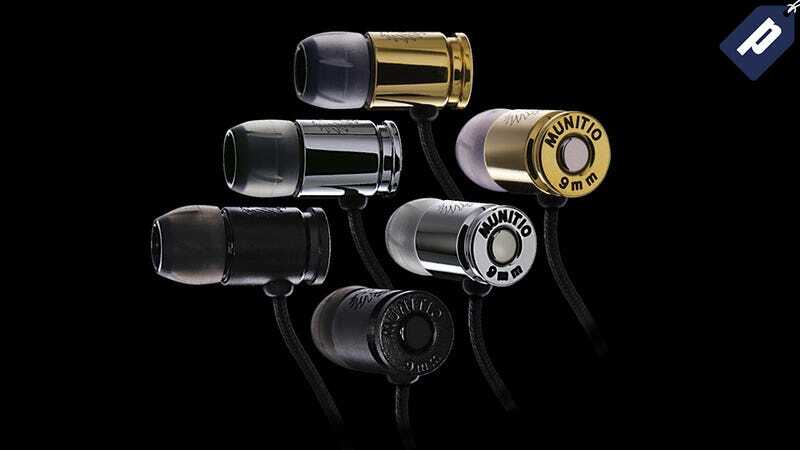 The NINES are available in black, silver, or gold, and include a carrying case and set of replacement earbud tips. Shipping is included to the US, and will take 1-2 weeks to arrive. Hit the link below to grab yours - these are sure to sell fast.